Logos are not only present in business matters, they can be found in formal events too. In special occasions like that of a wedding, it can be made extra special and astonishing by the presence of the bride and groom-to-be’s wedding logo. Various themes and concepts can be applied in a wedding logo, it can be classic and formal, or a unique Gothic style, or vintage to retro and even modern logo designs too. Surely, there are lots of ways on how to design and add embellishments in a couple’s wedding. Choosing the perfect logo design in a wedding is a vital consideration too. Having a wedding logo in your wedding invitations, wedding decors, and wedding souvenirs is a great way to tell your friends, family and relatives how special and worth remembered your wedding is. Since a wedding logo is a symbol for both the bride and groom , it is very important to take a glance on the ways how to create such a lovely wedding logo. Consultation- In deciding for the wedding logo, one must call to mind to consider first how would it look like. 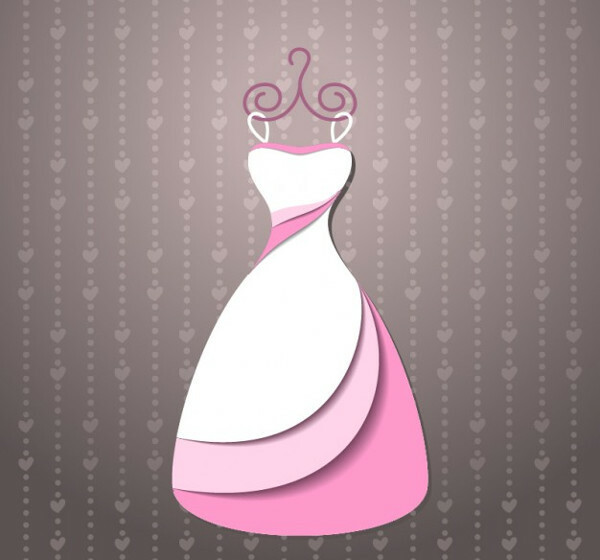 Considering the future husband and wife’s likes and dislikes will help in determining the perfect flat logo design for the wedding..
Visualize- After being able to know the things what the future husband and wife wants, now its time to visualize, you have to examine if those ideas will be possible. Choose a theme and motif- Theme and motif must come hand in hand, motifs are those objects that can be seen in the wedding day, it can also be considered in the logo that will be present in wedding invitation cards. For weddings themes such as garden or classic can be customized and can look modern by considering today’s modern logo designs. Go Classic (if needed)- There will be instances when you go on changing your mind and you doubt the designs and plans you’e already made for the wedding logo, so when you are in doubt, do not hesitate to resort to being Classic. Personalize- Making the wedding logo personal for the bride and groom-to-be is still very important, because they are the ones being highlighted in the wedding in the first place. Make sure that their preferences and personal tastes as a couple is still present. Being able to know the things you need to consider in making a wedding vintage logo is a matter of research and creativity, always remember to take time in personalizing, to create an impression of originality. What Makes A Good Wedding Logo? Wedding logos are such one of a kind idea in a wedding because logos are usually present in business firms, companies and other commercial establishments. A good wedding logo follows the basic key points in creating one. From the consultation of the bride and groom-to-be’s preferences, the right process of choosing the theme, colors, motif, the font, and other fundamentals of designs that needs to be followed. A good wedding logo must be practical and useful. Meaning it must function what it is expected. It must represent both the bride and groom-to-be. It must fit in any surface such as in wedding invitations since they can be very useful because they add up as embellishment in an invitation card or invitation flyer, or in stickers or stamps that will be pasted on wedding souvenirs. A good wedding logo must represent the future bride and groom-to-be. This means that the theme, motif and colors must be easily identified that it is made and personally for the couple and that their preferences are distinct in the logo design. A good wedding logo is simple, simple but not to the extent of compromising the creativity and imagination. A good wedding logo must be memorable, it must inculcate in the minds of the people who gets to see it, that when they reminisce that certain couples wedding, they would still be able to remember the details of the wedding logo and how beautiful it was created. A good wedding logo is versatile- It must fit anywhere else, it could be printed in stickers, photo papers, in wedding souvenirs like mugs for example. 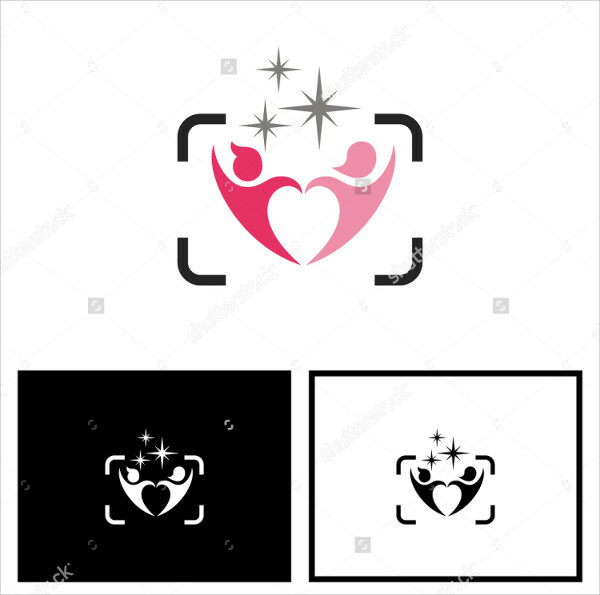 So these are the characteristics what a good logo possesses if you would like, our examples of business logos and photography logos also be helpful for your reference. Consistent- You need logos because they create consistency in branding. If you are consistent which means you could easily be recognized. Permanent Image- Logos serves as your permanent image (especially in branding which is very important). Permanent images in your company or business helps in maintaining its name to the public. Great First Impression- First impressions last as they say, so you get to justify it, having an astounding logo in creates a great first impression, meaning you have inculcated something already in the minds of the potential clients and customers. Take restaurant logo for example, if your logo is simple understandable and bears what really is a restaurant, then you’re good. Standout from Competitors- Competitors are always everywhere, it is inevitable so having a logo means you are original, and that’s what separate you from your competitors. Loyalty- There are instances that your competitors in the market tries to match or outshine your service, so how would you be able to make sure that your customers remembers you? A logo, of course. So are you now are already enlightened why you should need a logo in you business, commercial entities and even in special events? To find out more about logos please try to check our awesome photography logos, corporate logos and company logos right here in our site. I hope these would be helpful to you.